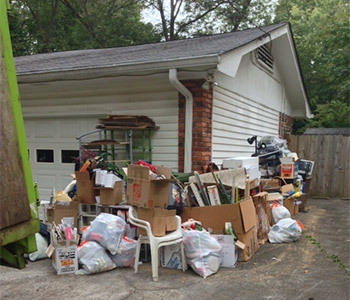 If you are in need of removal of household junk in Sydney, then our rubbish removal service is exactly what you need. We work right across Sydney, and so are the ideal company to hire for the removal of household junk in Sydney. Whether you are looking for a company to remove furniture and rubbish, or carpets and kitchen units, we can take care of it all. Our removal of household junk services cover everything you might want removed from your property that you no longer want; removal of old kitchens and bathroom suites, broken furniture, old carpets, fixtures and fittings, and all sorts of other rubbish and junk removal that you would expect. Have us come and remove your household junk in just one job, having it removed there are then and disposed of, leaving you with clear space once again. No job is too big or too small, we remove everything from a small van load of household junk, to several truck-fulls. You might be a landlord who is in need of having household junk removed after tenants have left your property in a mess, or alternatively you might be clearing a deceased relatives estate. Or, like many of us, you might just have accumulated a lot of stuff over the years and eventually you have had a clear out, and now you want someone to come and remove all the household junk for your property. Whatever your situation, we can easily do this job for you. We undertake removal of household junk in Sydney. We are a professional company and so you can be sure you will have the very best staff turn up to remove your household junk, and safely take it away, leaving you with clear space at home once again. You can contact us via phone or email and we are always happy to help. We try our very best to be available for booking, exactly when you need us, and provide a punctual and reliable service.